Do you know Google consider ranking for any website or blog based on more than 200 factors? Among all of them Backlinks are most important. In our today's post we will make you clear about overall importance of backlinks for SEO and how it plays a very important role in search engine optimization. READ ALSO: How To Find All Linked URL’s Of A Website? 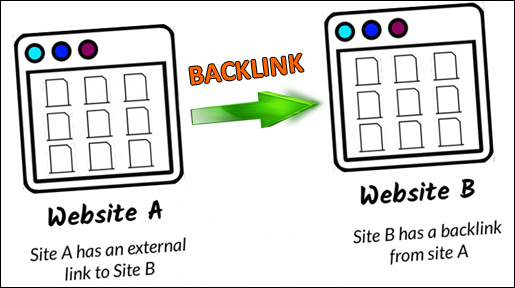 Before we move to forward you must know what is backlink actually? Generally backlinks are those incoming hyperlinks that pointing to a website from another website with anchor keywords. It also called inbound links or incoming links. Here one thing should be noted that all kinds of backlinks are not good for a website. Here high quality backlinks matters. So, making backlinks for SEO from low ranking or low domain authority (DA) blogs are not good for a blog/ website even it can be harmful for your website or blog. 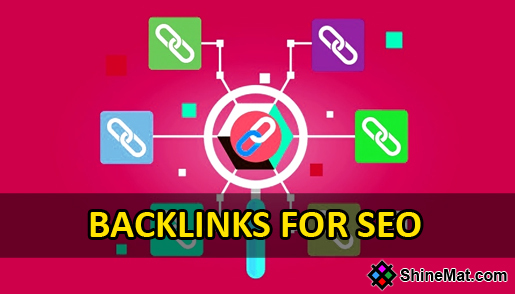 We will discuss a lot of thinks about backlinks and we will give you almost all details about backlinks and how it affect website ranking on search engines. Low-Quality and High quality Links. As we said before backlinks are really an essential fact for a website and on the other hand if you will get backlinks from low ranked sites that are not performing well in search results your blog/ website can be dropped in search results too. Assume that you have blog about mobile phones and you are creating backlinks to other sites which is about animals or something different from your niche, these types of links are not high quality backlinks. According to Google Panda and Penguin algorithm updates, they clearly said that earning quality backlinks are GREATER than huge backlinks quantity. So, your main goal should be to get incoming links from relevant and high page ranked sites. Try to focus on making quality backlinks, not only its quantity. Quality backlinks help to rank your blog higher within a short time because of getting your blog’s incoming links from high ranked websites or blog. Always try to create backlinks for SEO with your anchor keyword and post page URL instead of only homepage URL. This will be helpful for both readers and search engine spiders to crawl your each post page easily. More backlinks means more referral traffic. Referral traffic will gives you targeted visitors from links that pointing to your blog site. So, increasing of high quality backlinks can give you handsome traffic. Search engine robots crawl high ranking websites every seconds and its links too. So, if the robots find your links in high ranked sites, the robots will come to your site too and index your site to its list. This technique will works very well for new blog sites to index in major search engines database. No doubt who comes in your blog via your backlinks, are real and targeted visitors. Because, after reading other’s blog post that the user interested in will come to your blog through your created backlinks. Search engines love high quality backlinks. So, if your site loved by search engine spiders, then no one can stop you to get high rank in SERP. To increase overall site performance in search engines two more things should be consider. These are Page Rank and Domain Authority. Quality backlinks help to increase PR and DA value. Hope you like this post and everything is clear about backlinks for SEO. If you still have any confution please let us know. Stay well and stay tuned. Allah Hafez.